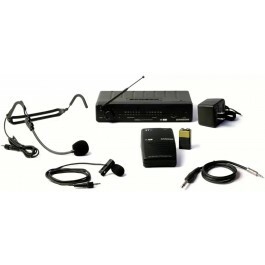 The AKG WMS40 Mini Single Vocal Set is a Wireless Microphone package. 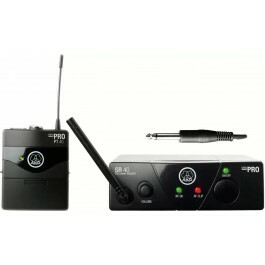 It includes the SR 40 Mini receiver and HT 40 Mini microphone. Buy online today from Merchant City Music Glasgow. We offer a speedy delivery service to the UK and Europe. The AKG WMS40 Mini Single Vocal Set gives you freedom to roam on stage. 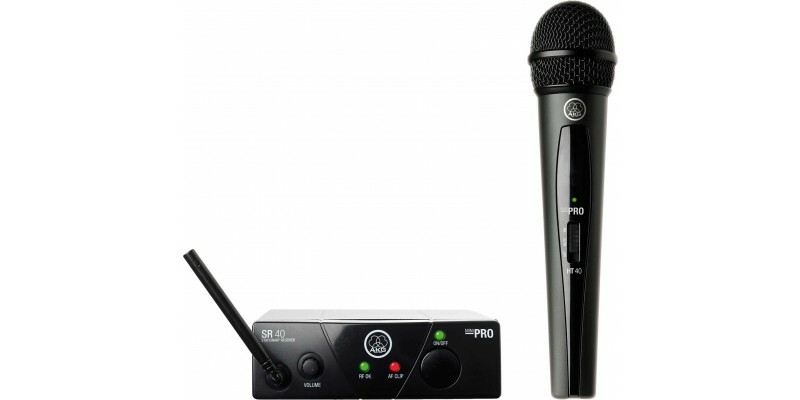 This great value wireless mic will give you greater freedom on stage. There will be no trailing wires. 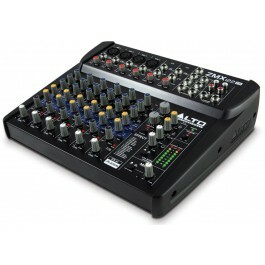 The AKG WMS40 Mini Single Vocal Set includes a microphone and a receiver. It is a plug and play solution that is easy to set up and use. You should get up to about 30 hours of life from the battery in the mic. The transmitter features a dynamic cardioid capsule for maximum gain. The small and compact receiver features a 1/4 Inch jack output.